two peas & the dog: cellar door. rockford wines barossa. One of the many hobbies Nate and I have picked up since we've moved here is visiting cellar doors. Hobby, research for my job, research for visiting 'peeps, thirst - I guess you can really call it what you want. Some of you who have already visited know that Nate and I are starting to build a 'must visit' priority list. At the top of that list is Rockford Wines in Barossa. Why visit Rockford? The simplicity of their Cellar Door. You walk into what looks like the stables of a barn, the tasting room is small but gives off a comfortable feel when you're at the tasting bar and elbow to elbow with other fans of this wine. 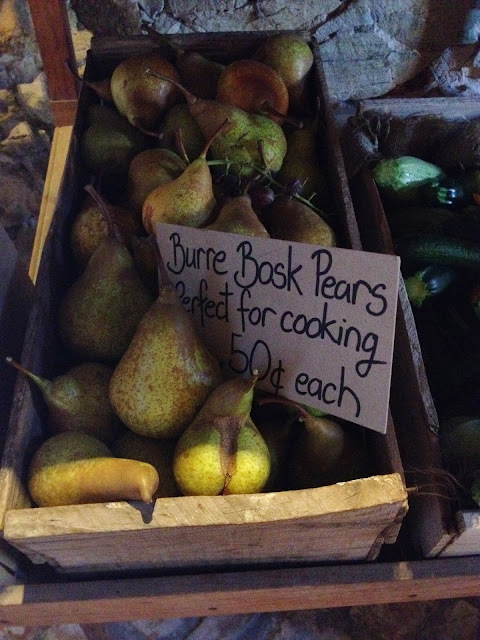 They usually always have local produce and herbs for sale - basil, applies, pears were available the last time we had a visit. 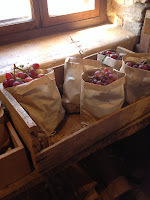 The staff is great, giving you as much detail about the wine and winery as you want (or not want). If they had seats, I would say pull one up when you decide to go through their tasting. Why? You're not going to find their wine readily available at your local liquor shop (great wine shop, maybe). They have no problems with moving their wine and the tasting room may be the only place you get to try it. Be on the look out for any museum wine they have, I suggest grabbing some if available. We recently opened an '04 Rifle Range, Cab Sauv and it was smooth, delicious and perfect with the meal of steak (for Nate, of course) and gnocchi with duck leg confit at Brighton Jetty Cafe. That will be another delicious post. The rate at which they sell their wine is one of the other thing I love about this brand. When you visit their site - no online shop. You have to call or email to place an order with them. They basically don't need an online shop! 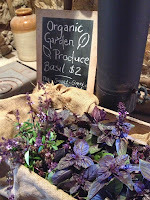 To build your brand to be able to do this is awesome (sorry, a bit of 'business Jen' talking) and pretty clever. *Update: March 8, 2014: Nate and I recently joined the Rockford Mailing List and after being given our secret squirrel code, we can now order wines online. LOVE IT! Secret Squirrel Code = ability to order online. Join their mailing. 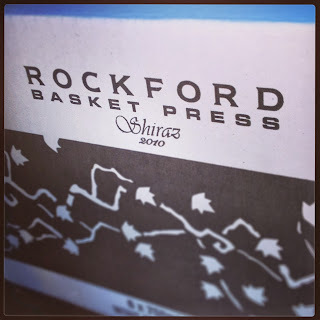 Rockford does have its cult followers but they will welcome you with open arms a tasting glass with your name on it. Go, visit the Barossa and make Rockford one of your first stops. Side note: We went last weekend to pick up the coveted Basket Press. 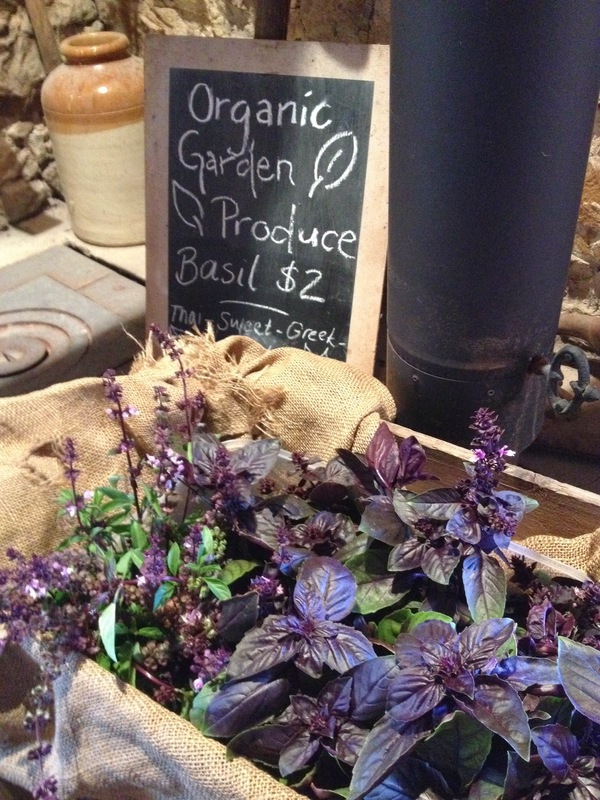 They only sell these at the Cellar Door, each customer is allotted three (per transaction we shortly figured out) and they usually sell out in a matter of weeks. Pencil in the beginning of March to stop in and pick up your bottles. Don't forget to experience interest in the Rockford membership. Unlike a wine club, they track your transactions over a period of time and invite you to join 'the club' (sorry, I've forgotten the name of it!). Once accepted, you get your own sneaky, private tasting room with the opportunity to taste some amazing museum stock. The did mention there is an event for members - a long lunch that lasts hours with SA grown food and an opportunity to taste museum wine after museum wine after museum wine. Hmmm...wonder if this blog post will help us get a bit closer to that membership. 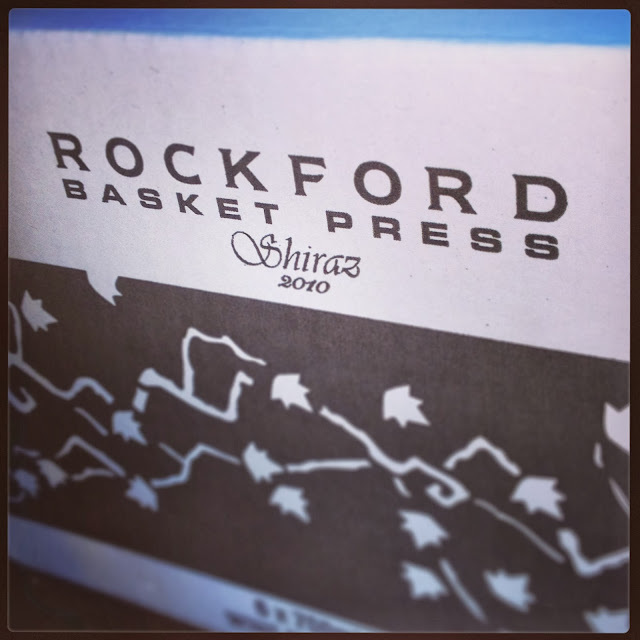 Even if it doesn't, we've certainly allocated a bit more of our wine budget to Rockford's line up. Fresh South Australian produce available at the Cellar Door.